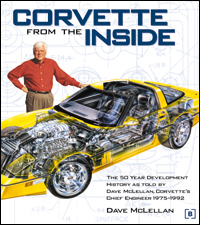 Corvette book authors Dave McLellan and Tom Benford will be appearing at the 1st Annual Atlantic City Corvette Show on Sunday May 22nd, 2005. They will both autograph copies of their recent Corvette books at one of the key Corvette events of the year. Corvette. McLellan will be signing autographs at the National Corvette Restorers Society (NCRS) booth at 12PM. Tom Benford, award winning writer and Corvette historian, will be signing copies of his book Corvette Illustrated Encyclopedia. 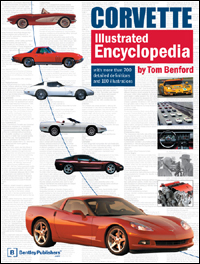 Published in 2004 by Bentley Publishers, the Corvette Illustrated Encyclopedia is "a must for the Corvette aficionado" according to Hemmings Muscle Machines. Benford will also be signing books at the National Corvette Restorers Society (NCRS) booth at 12PM. The 1st Annual Atlantic City Corvette Show is taking place Sunday May 22nd, 2005 at the Atlantic City Surf Sandcastle Stadium on 545 N. Albany Ave. in Atlantic City, NJ. For more information on the show, contact Dave Salvatore at Kerbeck Corvette at 1-877-KERBECK.